Freshly promoted to high Class-A baseball, Tim Tebow has been hitting the ball better than ever before. In his previous stop with the low Class-A Columbia Fireflies, he hit just .220. 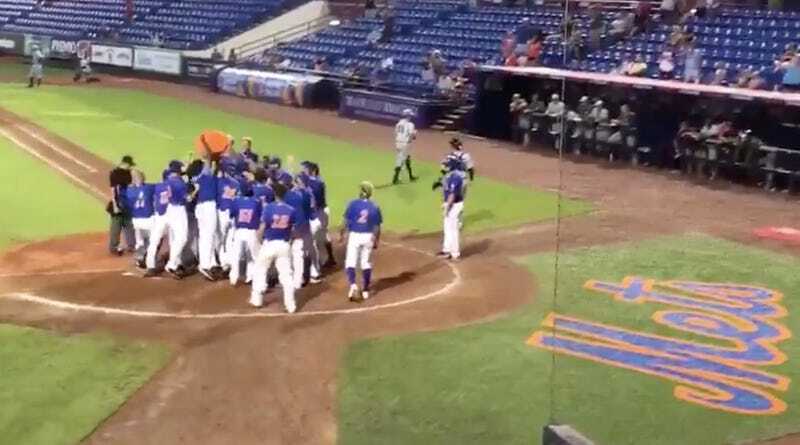 The former QB is hitting .326 at the moment with the St. Lucie Mets, and this evening he produced his most sanctified highlight of his career when he smacked a walk-off dinger. At this rate, Tebow will be hitting cleanup for the big league club by September.